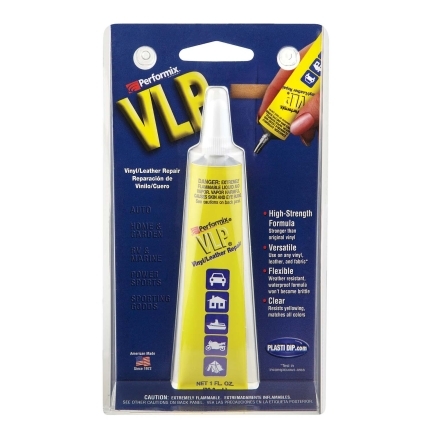 A clear, high strength, tear repair product, designed to mend small rips, tears and small holes on most types of vinyl and leather material. A repair made with VLP is stronger than the original vinyl and leather material. VLP actually dissolves the surface of the vinyl, creating an excellent bond. Q: Please advise if you can paint over this product? I am not able to get an answer to your question so I assume it is not paintable.